a really charming place to stay. 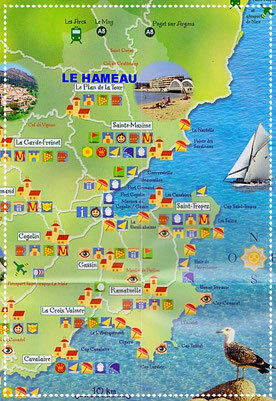 The quaint village of Le Plan de la Tour is only 900m away and situated in the Gulf of Saint Tropez on the Côte d’Azur. The beaches are 8 kms away, 15 min by car. 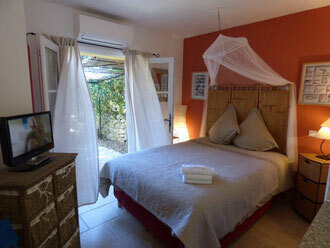 “Le Hameau” has an exceptional Provencal style. The beauty and the quietness will not leave you indifferent and here you will find an abundance of romance, charm and quitness. 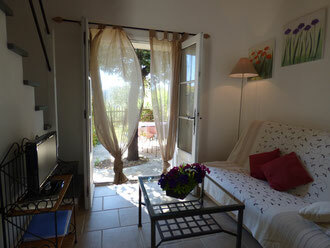 If you are romantique this sweet little cottage is for You ! 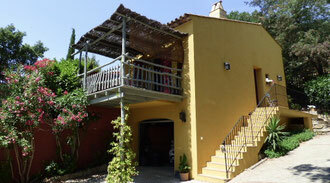 It has a private terrace and garden with lovely flowers and plants. The kitchen is American style with every thing you need for cooking. Bath room is nice and clear with shower and toilet. Discover this little lovely house with his closed little garden. A small way through the garden goes to the pool. Nearly the same as "Les Gastons" but with his own decoration. This Cottage is a little more spacious than the others. You will love the charm of this one, situated in the middle of a very flowery garden. Discover this little house, just next to the swimming pool with a beautiful view overlooking the mountains and the valley of Le Plan de la Tour. 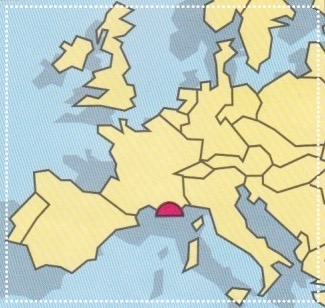 It has a nice big terrace under the cork tree and its own closed garden. 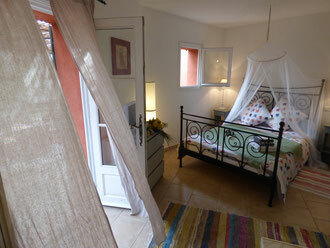 Inside the cottage is a mezzanine with a big double bed for 2 people. American kitchen with every thing you need for cooking. Bathroom is nice and spacious with shower and toilet. This is the biggest house in our little hamlet with a beautiful view overlooking the mountains. The decoration is beautiful with nice colors. Inside of the house is a nice big closed mezzanine with one double bed and 1 single beds. 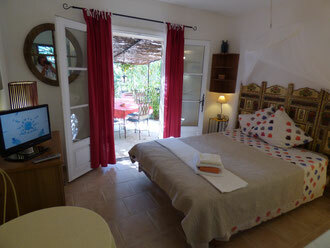 In the separate bedroom you will find another double bed. Bath room with shower and toilettes. Nice big wooden terrace with furniture. La Villa "La Maison Rouge"
You will love this beautiful charming house with private pool in the middle of a magnificent countryside on the top of a hill. You will fall in love with his amazing view. Large and beautiful kitchen overlooking a glazed veranda with barbecue. Terrace and garden with many places of relaxation. Decorated with great taste and love.